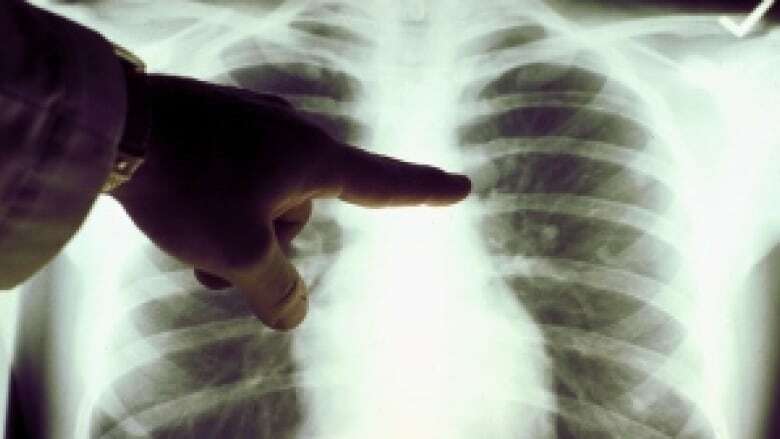 Health officials continue to track an ongoing tuberculosis outbreak in Thunder Bay, saying they've now identified 11 active cases of the disease in the city. That total has grown by two since the Thunder Bay District Health Unit issued its last update on the outbreak in May. The health unit has been tracking cases of the disease in the city since declaring a tuberculosis outbreak in March. "We are continuing to investigate and identify additional cases," said Dr. Emily Groot, associate medical officer of health with the Thunder Bay District Health Unit. "The process is, when we identify somebody who is actively sick with tuberculosis, we follow-up with them to identify anybody that they might have been in contact with." "That includes both people that they know they've been in contact with, and then people that they might have been in contact with through sharing housing or something." Those contacts are then tested, and Groot said it's likely more cases will be identified. Most of the active cases in the city, the health unit said, have occurred in people who lack adequate housing. Risk to the general public is very low, as tuberculosis, Groot said, is not very contagious. "Although it spreads through the air, you need to spend a long time in contact with somebody who is sick in a shared airspace to acquire the infection," she said. "So what that means is that close friends and family are at the highest risk of acquiring tuberculosis from someone who is actively sick." "That would be things like somebody who is sharing a house, or a close partner," Groot said. "If somebody is taking the bus with somebody who's sick with tuberculosis, there's really very little chance they would catch the illness themselves." There are, in fact, two forms of the disease. Active tuberculosis is just that — people who have that form show symptoms like coughing, fever or chills, and feel sick enough to know they should seek medical attention. However, there's also a latent form. In those cases, the bacteria is present in a person's body, but they don't make the person sick, and they are not contagious. In five to 10 per cent of latent tuberculosis cases, the bacteria wakes up and can cause symptoms and illness. Groot said, globally, 1/4 to 1/3 of all people have latent tuberculosis. "Even in a population that seems well, there's always a risk that somebody with latent tuberculosis might reactivate, and lead to the infection of other people," she said. In both active and latent cases, tuberculosis can be treated by antibiotics, Groot said.